That's right. The center line of each table is toggling between top and bottom connections. So 3PDT pin 4-6 is connected to send/out/footswitch and toggles between in/ret/gnd (turns on the circuit) and X/Y/broken connection. So the circuit is off or on. Then DPDT state determines what happens when 3PDT turns the circuit off - either keeps send/out connected to in/return when circuit is off or grounds&bypasses to send/in. The only downside is that even when you change to same pair of wires, 3PDT will always electrically disconnect it for a moment just like with true bypass. 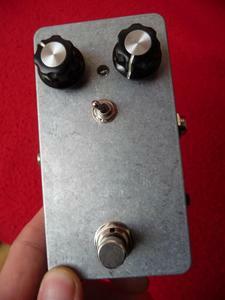 Today I tried to finish my surfy trem kit pedal but unfortunately it doesn't work. it only lights up the little red LED D4 on the board but the trem does not work.. I checked all connections again. unfortunately can not find a mistake. Does anyone could help me? 2) Post clear pictures of the board , connections, soldering etc. 3) Tell us what power supply you're using. Best to take a picture of it and all the writing on it. Did you solder in a jumper in the spot where the optional footswitch wires in? You say the LED on the board lights up, but how about the LED you wire to the board? And hooking up the input and output cables backwards happens to me sometimes as well, especially when quickly trying to hoook things up and test them out. I have a Surfy Bear Metal incoming. I have looked for a footswitch schematic (unlike the original, the SB Metal has a dedicated footswitch jack) but have found nothing. Does anyone want to contribute a schematic for a jacked footswitch? Otaznik, anu chance you could make a schematic view and post of this? Thank you very much otaznik!! Any pictures of your build? 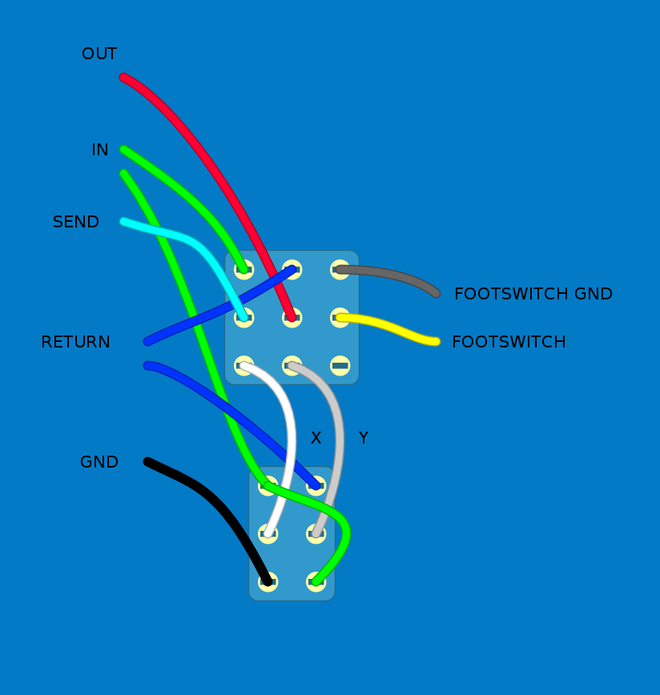 If you wanted to make it even more complicated, how about reversing the Footswitch and Footswitch Ground wires in your diagram then wiring an led ground pin to the remaining lug. That way, when you switch out the tremolo, you can have an led that goes on and tells you the tremolo is out. Using a second 3pdt mini toggle instead of a 2pdt and wiring a red led to the third pole would show you when you have the unit in true bypass. It isn't over until it's overdone. Hey guys what's the best way to get a speed increase? I'm trying to match the speed I heard on a vintage song There doesn't seem to be an internal trim for that function. You can use a linear pot but the range of available speeds will be confined to a very tiny range on the dial. Between 9 and 10 on the dial: speed will go from slow to fast. With a linear pot position 9 will represent the original position 2 of the log pot. In other words, 90% of the original range will now be on 10% of the dial/pot/knob.